Now that doesn’t mean I’m changing collegiate allegiances from Wisconsin to Georgia Tech (GT refers to their fanbase as “The Hive”). I’ll always be a Badger. Nor does it mean I’m going to show my super-villain darkside and wage battle against the Teen Titans (it’s a DC comic book reference… click here for more). Rather it means I’ve been accepted as a member of the Honey Stinger Grassroots Sponsorship Program. 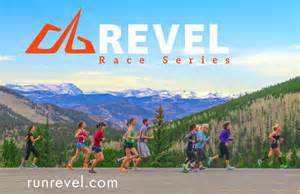 As many of you know, I’m an ambassador to a pair of race series (REVEL, Lexus LaceUp) as well as for running gear (PRO Compression). Well, now I’m also spreading the word about Honey Stinger. And in case you’re wondering, I’m not a sponsorship whore trying to one up Ricky Bobby. Click below to check out his sponsorship deals. Anyway, I’m the one who approached Honey Stinger. It was one of those things where I’d been telling people about their products for quite a while, so it only made sense to “officially” give them a shout. Click here to check out Honey Stinger! One of my running buddies first turned me on to Honey Stinger’s products two years ago. I tried out their chocolate waffles and was instantly hooked. I like to use the chocolate waffles as a little pre-race energy boost (usually in the car on the way to the race). I also like to use ’em during long runs and during races when the heat is on (I don’t handle gels as well in warm weather). In addition, I’ve started also using their “Organic Energy Chews” (lime-aid flavor) on long runs as well. Good stuff. If you’re looking for something new, feel free to give Honey Stinger a try (they’re available at plenty of running specialty stores and supermarkets) and see if it’s something you like. And if you’re in the market for a hunting knife, you can do worse than “The Eviscerator.” Tell ’em Ricky Bobby sent you. Fuel up… and Run on! Posted on March 27, 2015, in Gear Check and tagged Honey Stinger. Bookmark the permalink. 4 Comments. When “Little Debbie” was named the official title sponsor of Ironman Chattanooga, it raised some eyebrows. The ultimate junk food source was the sponsor for one of the toughest fitness events on the planet. Seriously??? Then someone posted two nutrition labels side by side. They were basically the same. One was a Little Debbie snack cake. 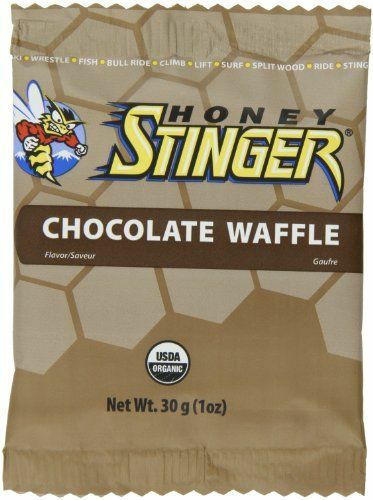 The other was a Hoeny Stinger waffle. “Healthy eating” can be a matter of perception. Runners world once listed their ten top food items when running (alternatives to cliff shots and GU’s). Pop Tarts was number four. Individually sealed, portable, quick source of easy to digest carbs, and a wide variety of tasty flavors. Ha! Good point. I will say “portable” is definitely a requirement for me. And easy to digest too. I’ll have to check out that Runner’s World article. Because I do enjoy me some Pop Tarts. Thanks for the comment. Cool. Still a few flavors I need to try. What’s your fav?